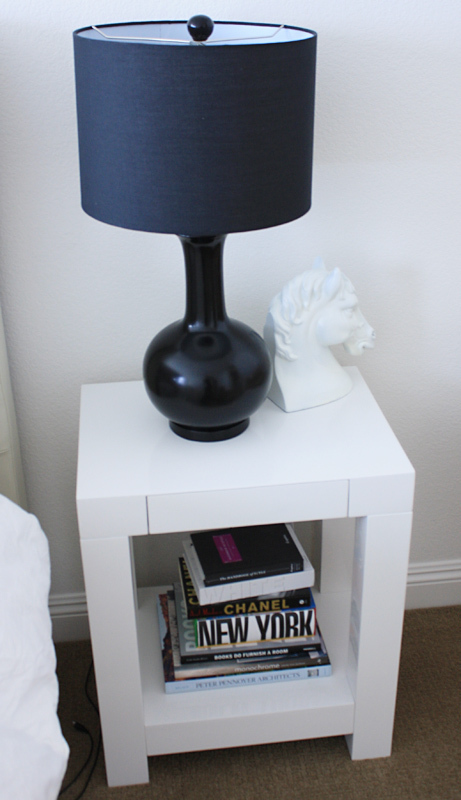 today's nightstand comes from jen of made by girl. jen's blog is always filled with gorgeous inspiration for your interior and i especially love her "your weekend" posts...so adorable. not to mention she's a very talented graphic designer and her shop is filled to the brim with stylish posters, greeting cards and calling cards. 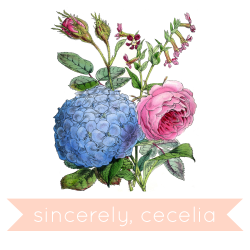 be sure to stop by her blog and if your boyfriend/husband tends to be a bit clueless when it comes to holiday gift giving...definitely check out her idea for giving him a little nudge in the right direction. thanks jen for contributing! I don't like to keep a lot of items on my nightstand to begin with, so this was a bit of a challenge for me to describe, what's on my nightstand. I recently moved & purchased two nightstands (they're actually side tables from West Elm). I love to keep books at the bottom, books that I haven't read yet. I usually end up skimming through some of them at night before bed. I also keep my handy lamp, which was a DIY project which i explain on my blog. You can't see it here, but before bed, I end up placing my iPhone on there too just in case I need to make any calls at 2am. Ha! Labels: what's on your nightstand?